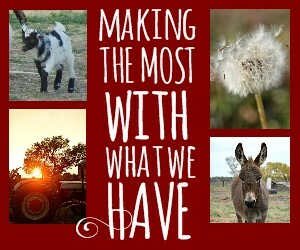 Welcome to our brand new series here on Little House Living, “Making the Most With What We Have”! This series will showcase individuals and families all over the US (and even outside the US!) that are making the most of what they have. 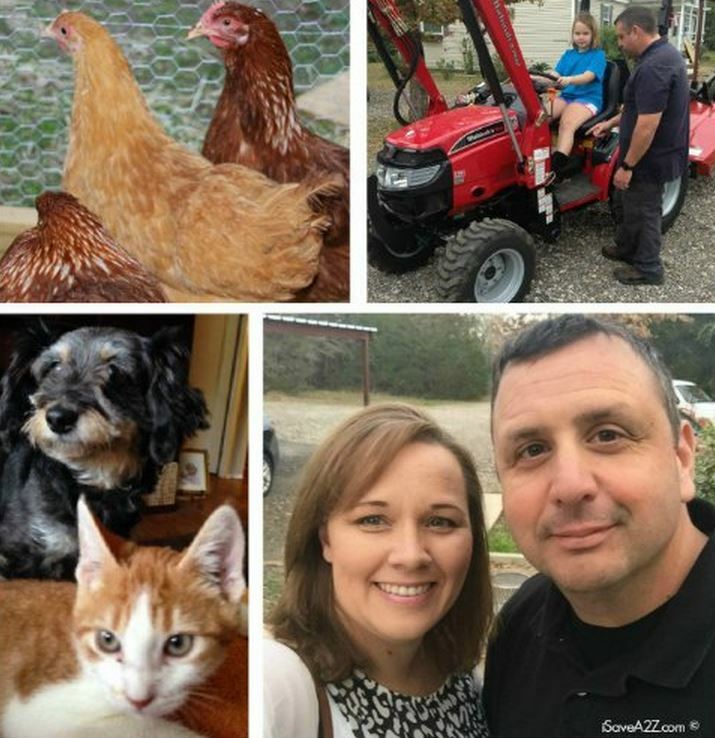 We know that you can be a modern homesteader without 160 acres of land and a mule so this series will share the stories of these families so we can get a peek into their lives and learn from each other. We live on a 2.5 acre homestead in Iowa. Our home is a 1676 square foot brick house with an attached 3 stall machine shed. Our goals are to be more self sufficient. To rely on ourselves more for our wants and needs. My main goal is to save substantially at the grocery store. We would like to grow more of our own fruits and vegetables and raise chickens for eggs and meat. Another goal is to cut waste by re purposing or updating things, such as painting an old dresser for a frugal, but beautiful, new look or making rice heating bags from scraps of fabric. I have been learning to make my own laundry detergent tabs and household cleaners. We are also planning on expanding our garden next year by doubling it’s size. We can and/or freeze corn, zucchini, squash, green beans, peas, peppers, pears, peaches, applesauce, jams, jellies, tomatoes, and pickles, to name a few. We have a root cellar where we store carrots, potatoes, and onions. We know people with cherry, pear, and apple trees who always have an abundance to give to those whom will do something with it. We give people fresh produce too. My husband fishes and hunts and butchers everything himself, alone, or with the help of a friend. I’m capable! 🙂 Whether it be sewing on my daughter’s girl scout patches or processing produce from the garden, I get a wonderful sense of accomplishment and satisfaction in taking care of myself and my family. Also, don’t be afraid to ask someone for help in learning a new skill. People enjoy passing on their knowledge to others who are interested in learning it. 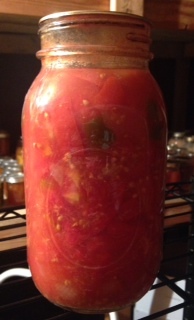 I was very timid with canning, but my sister walked me through it and we enjoyed our time together. Mix together in very large bowl. Pack in jars 1/2 inch from the top of jar. Put in pressure canner for 14 minutes at 5lbs. pressure. Makes 9 pints. Living in Iowa and being the daughter and granddaughter of farmers, we have always had a lot of sweet corn. The safest way I can process corn is to stand the ear up in center of a bundt pan and cut straight down the sides. The ear is less likely to slip and the corn falls into the pan around the ear, where it is easily measured to be bagged and frozen. You don’t have to be perfect at everything! Things don’t always go as planned, but you always learn a lesson. Hard work can be very rewarding. Be proud of everything you have accomplished and keep learning throughout each stage of your life. Thank you Megan for sharing your story with us! I took a long piece of balling twin and keep my rings on this in my pantry. It is such a great tip. When storing items in jars (taco season mix) I just take a ring and a used lid to put back on the jar. Love this site. Thank you, for the opportunity, to come and visit. Have received my first news letter. I love all the “goodies”, I have viewed thus far. Plan to visit, often! Again, thank you. I love fresh frozen or canned whole kernel & cream style sweet corn. But in eastern OK where I live all I can find the last few years is Hybrid corn. The ears with white and yellow kernels. It’s not as sweet and is lacking in flavor compared to the old fashioned yellow sweet corn. Your corn looks delicious! Good luck on your homestead and your produce this year. Praying you have a great bumper crop! I am loving this new series, thank you Merissa for starting it and thanks to Megan for sharing her tips. Great series idea, can’t wait to follow it 😉 I love how Megan says you don’t have to be perfect at everything. Learning how to be self sufficient takes time and practice and lots of mistakes! But it is well worth the effort! 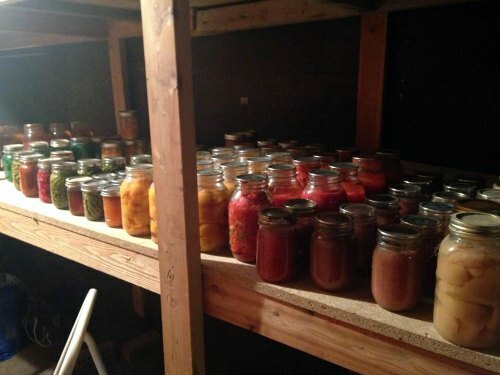 Homesteading and being self sufficient are an ongoing adventure. There is always something new to learn and a better way to do some thing! We have been at it for 38 years,and every day(almost!) brings a challenge. Sometimes they are good,and others not so good. The main thing is to keep on plugging along…don’t be discouraged and as Megan said,don’t try to do everything perfect. Just do your best and be happy doing it! If a canning jar is not sealed..if a chicken breaks a few eggs..if you spill the goat milk..remember that you are human and we all make mistakes. It will even out in the end! I think it is awesome! I did most of these type of things a couple years back, but really have not got back into again. I really just wanted to be capable of living the simple life, and felt great about doing it all. I really need to get back into it again. What a wonderful idea for a series, Melissa! Thanks so much, Megan, for being willing to share your tips with us! Loved the tomato goulash recipe! Will have to save that for summer when we have lots of fresh tomatoes, and give it a go! Great tips, and wonderful post on how to be more self sufficient! Thanks for sharing! My husband and I are both in our 60s. He grew up in Indiana and I in Montana. We are looking forward to moving soon to a smaller town where we can have a garden and some room to spread out. I have canned some (beginner) and I make condiments for us, but would like to get a pressure cooker to really fill up our pantry. Thanks for the suggestion about taking the rings off of my canned jar and for the idea of putting the rings on a string/strap to keep them together! I look forward to following you and learning more. Just thought I’d share this on removing corn from the cob. Go to any dress shoe department in a larger chain, Sears or Penny’s comes to mind. Ask the salesperson for a few shoe horns, the shape is perfect and it’s not so sharp that you risk cutting yourself. 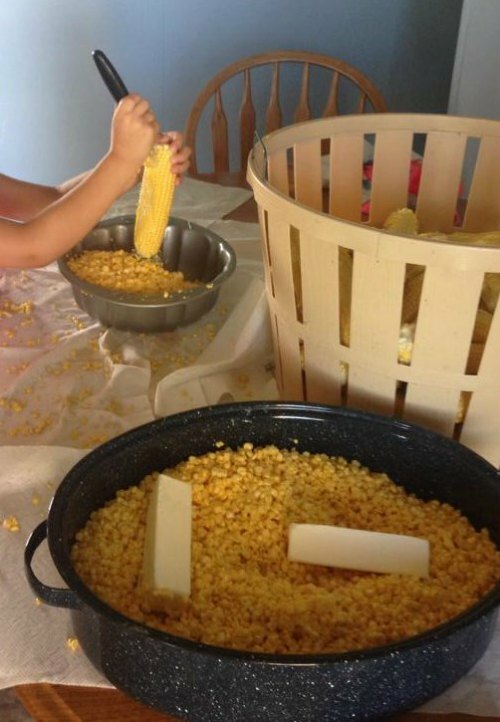 Dedicate them solely for removing corn from the cob.